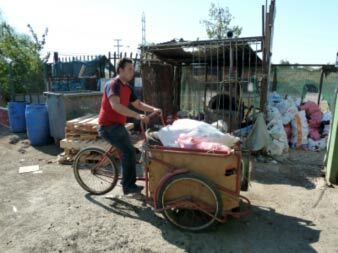 Ben Garside of the International Institute for Environment and Development (IIED) wanted to find out the benefits, costs and hurdles to self-organization of waste pickers in Chile, who make a living from selling valuable materials they find in what other people discard. He realized rather quickly that he was seen as one of these typical “tecnicos”, one of the many outsiders (NGOs, researchers) who come to do some work about the waste pickers, which would be abstract, extractive and of little use to them on the ground. To avoid this, he decided to involve the waste pickers themselves in using an adapted Net-Mapping approach to figure out benefits and pitfalls of different models of organization, understand the communication problems between different levels and added open ended questions to explore the benefits and struggles in depth. You can have a more detailed look at his case study on IEED’s sustainable markets blog.